STOP HS2 | “HS2 is the weakest of all projects” says Select Committee Chair. 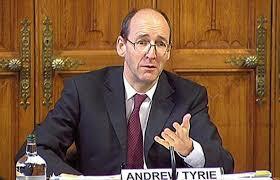 Andrew Tyrie MP, the Chair of the Commons Treasury Select Committee has written to the Secretary of State for Transport, saying that the economic case for HS2 is not supported by the numbers when it comes to capacity and speed, and that out of all the projects proposed by Government, HS2 is the weakest. His comments come during a terrible week for the project in which; the Adam Smith Institute labelled the project ‘economically irresponsible’, the Lords Economic Affairs Committee reminded the Chancellor that they concluded the case for HS2 has not been made, the Public Accounts Committee reported that the costs of HS2 are volatile, the timescales unrealistic, that there is no money for regeneration and no plan for how it will effect existing trains, and of course the Chief Executive of HS2 Ltd quit his job. Fantastic finally someone speaking sense!